Saving one dog won’t change the world, but it does change the world for that one dog! 9 week old Shepherd mixes. Possible ringworm. Anemic and underweight. Rescued 8/26 from MDAS. Brought in on 8/25 as strays. Will be available first week of October if all goes well. Due to Deidre’s sister passing we are delaying her spay until an EKG is done and she is older to keep her safe. I have bad news. Sadly Delia passed away while undergoing her spay surgery. She had a heart attack and they could not revive her. Due to this Deidre will be waiting awhile and will undergo an EKG before she is scheduled for surgery and not happening until at least 6 months old. RiP beautiful girl. It's been a rough day. Without your donation, we cannot continue saving dogs. That is why we appreciate your help! One By One Dog Rescue is a 501(c)(3) organization registered in the State of Florida. 100% of all donations to One By One Dog Rescue Inc. goes towards veterinary bills, MDAS fees, pet food, and cleaning supplies. 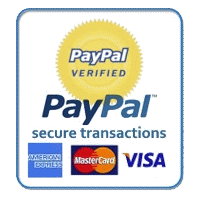 Your Paypal transaction is secure and tax deductible.